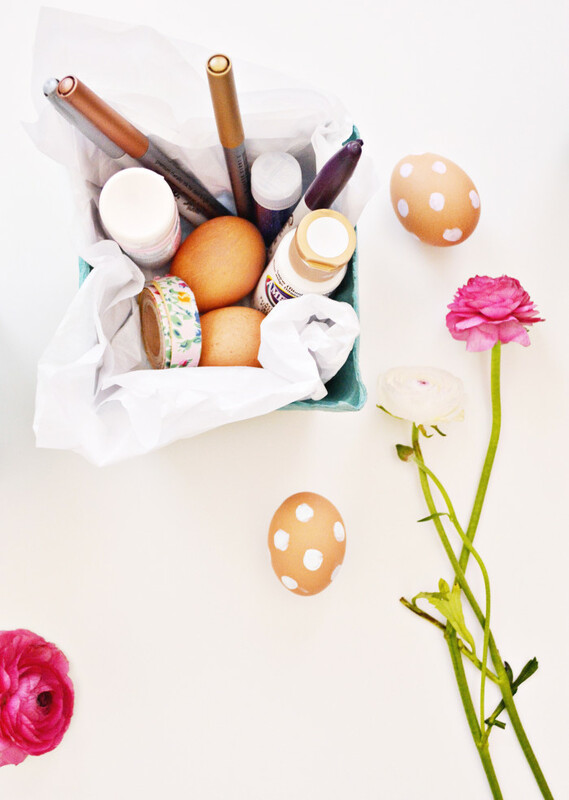 Hip hip hooray we have another Tiny Prints Easter egg DIY for you today! 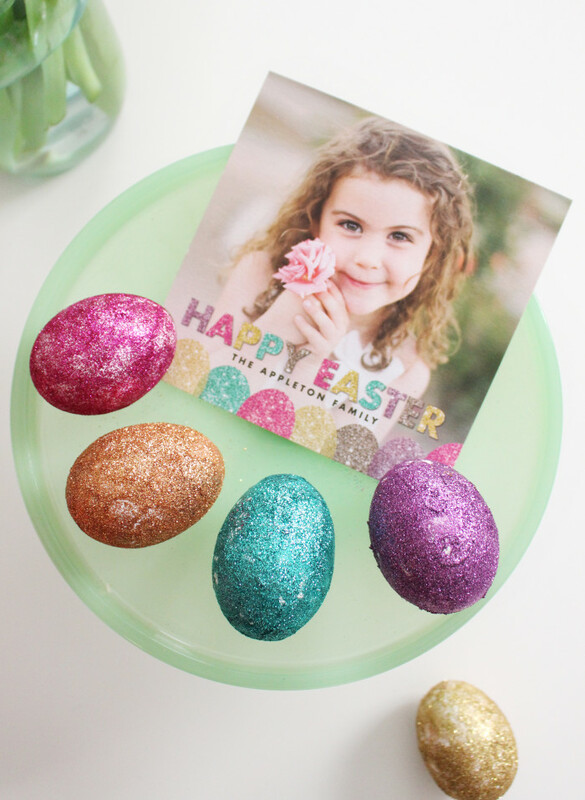 Glitter is our favorite, so when we saw the Glimmering Glitz card we knew we had to create eggs to match! 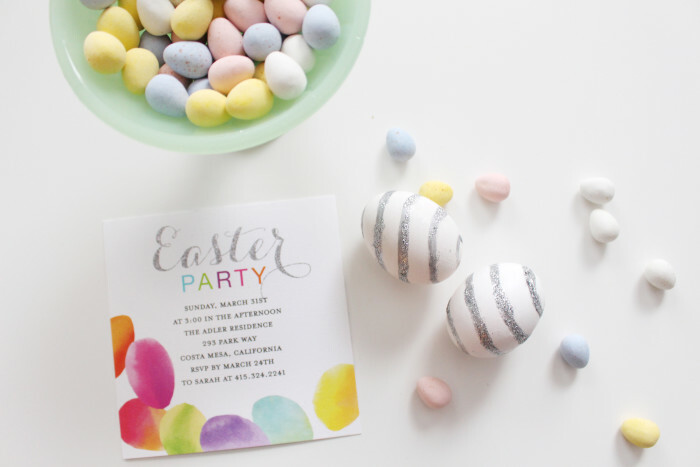 Head on over to the Tiny Prints blog for the tutorial! 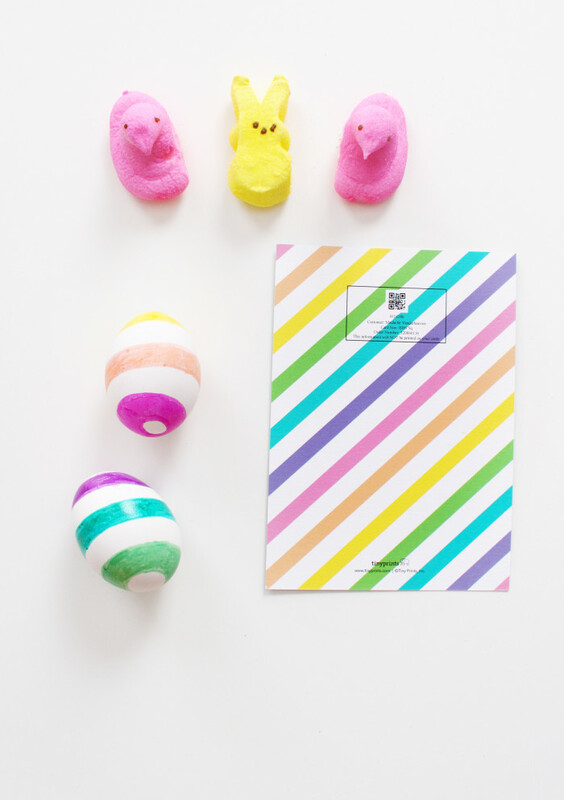 Our second Easter Egg DIY with Tiny Prints is up on their blog, check it out! P.s. 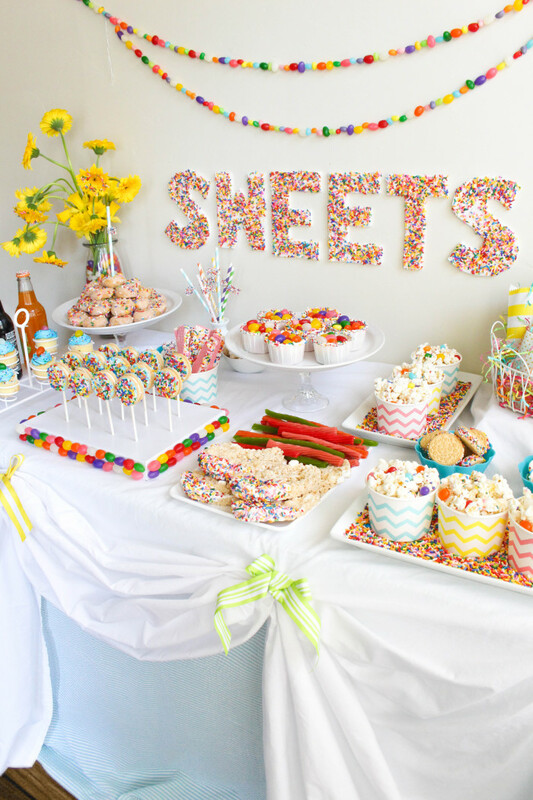 we used this invite for inspiration. Once the weather warms up I am all about the Farmer’s Markets. In fact, I went to one this weekend even though it was 38 degrees (spring still exists right?!). 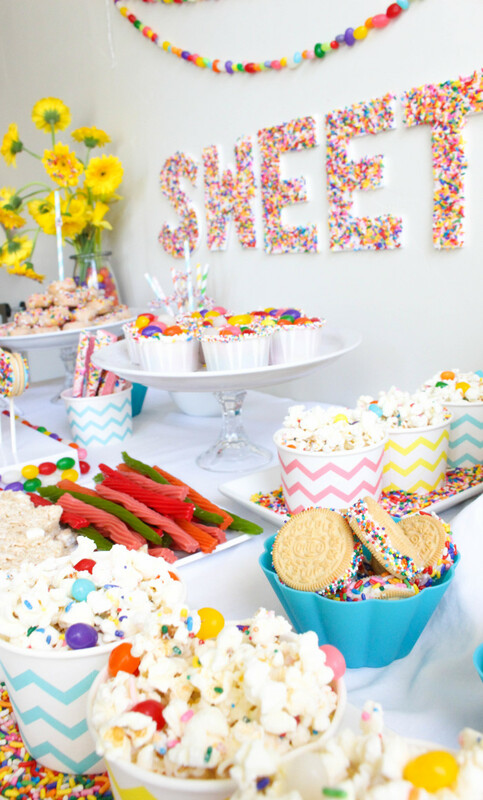 And berry baskets are always one of the highlights of the markets and we love using them for various party crafts (see here, here, here and here). 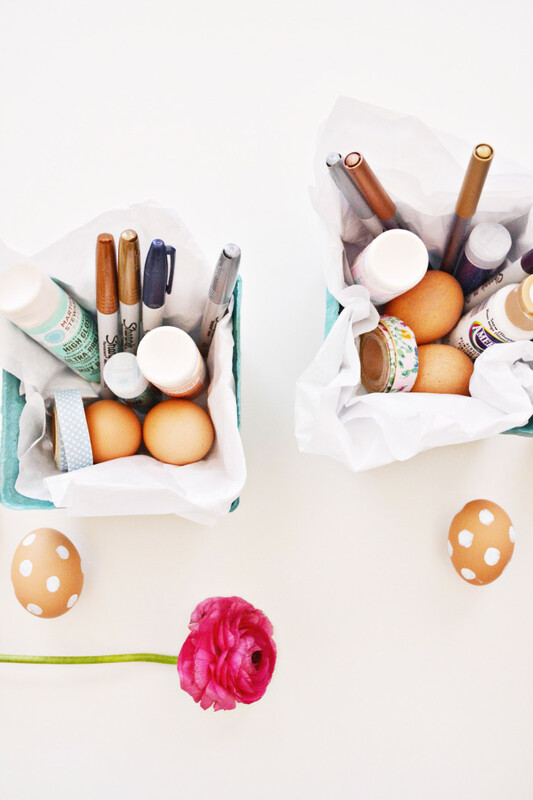 This year, I thought that they would make for perfect little Easter egg decorating kits! 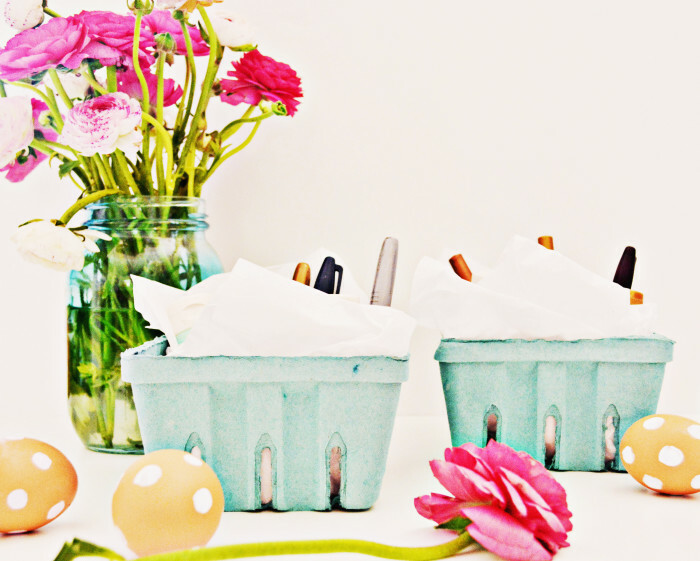 Just fill them with tissue paper and any supplies you want to use such as sharpies, glitter, paint, glue, washi tape, food coloring, egg coloring kits, botanicals, you name it! 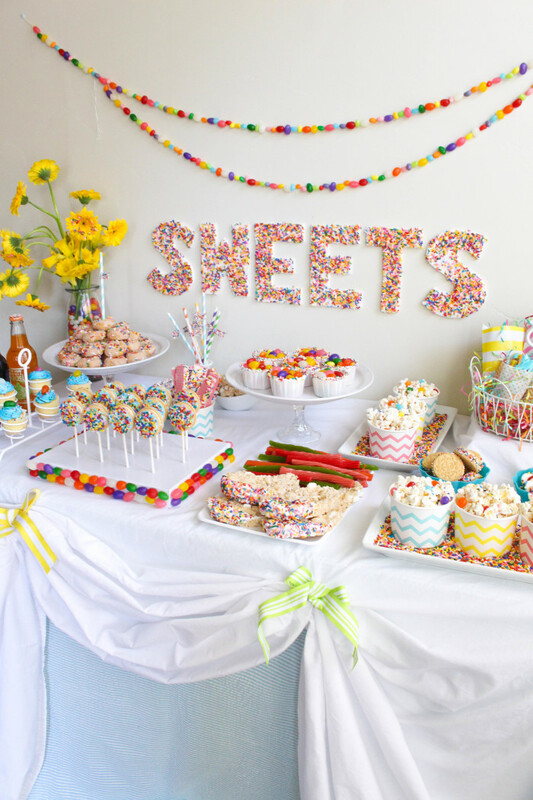 Then hand these out to your guests at your Easter get-together or egg hunt (p.s. you can use these free invites). 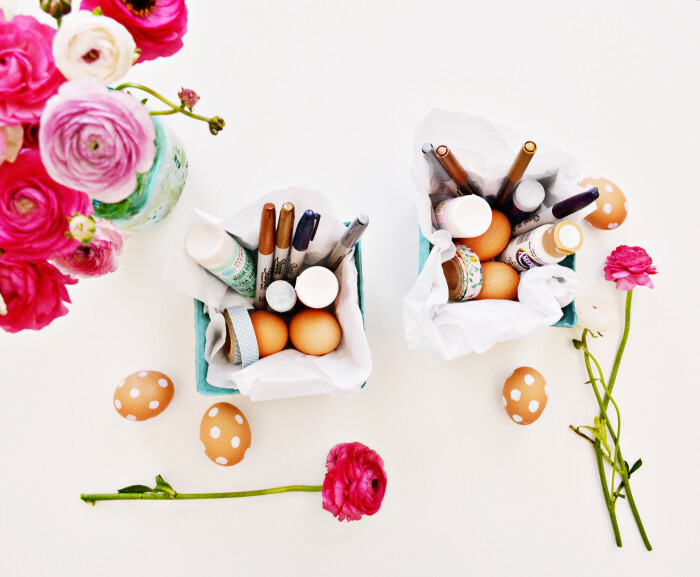 Have fun decorating your eggs, we can’t wait to see what you do! 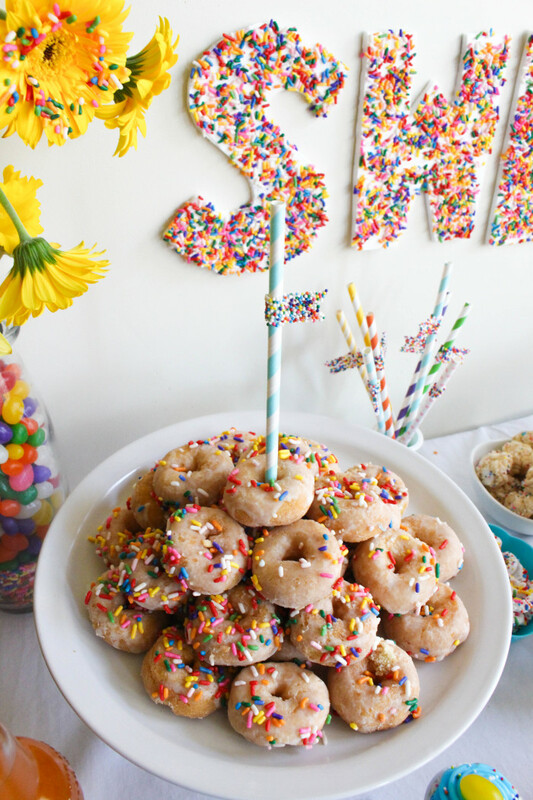 And as a bonus, the berry baskets look super adorable on any table so they can also serve as party decor. I am also just thrilled that I can finally start buying ranunculus again, thank you Trader Joe’s! 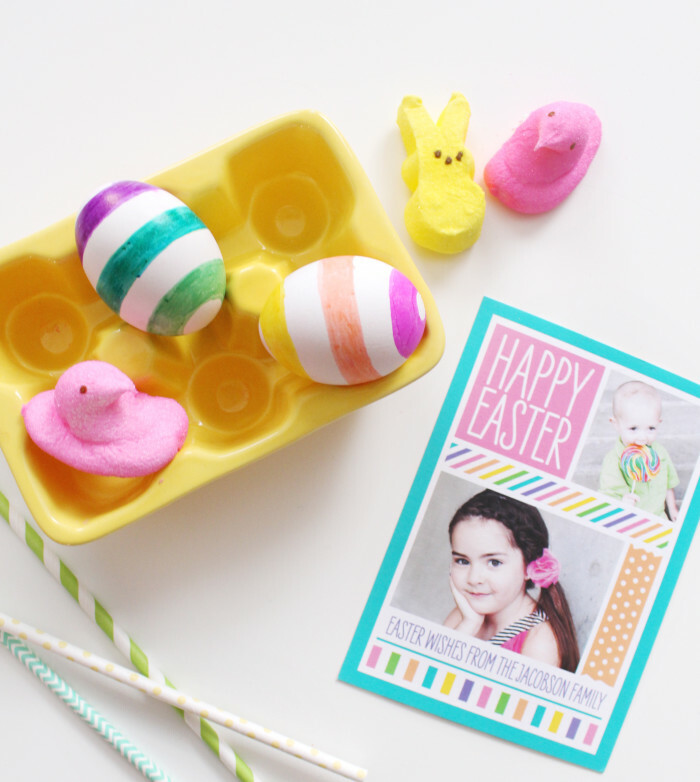 Tiny Prints has the cutest Easter cards ever! 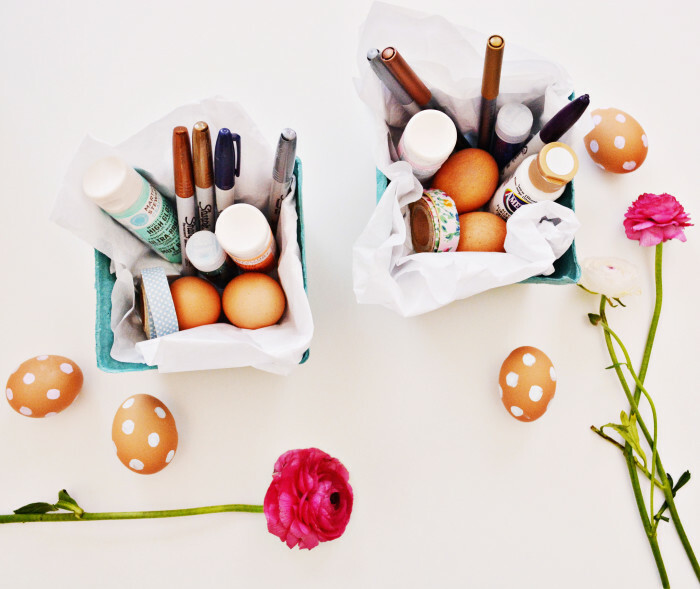 We fell in love with all of them and made 4 Easter eggs to match our favorites! 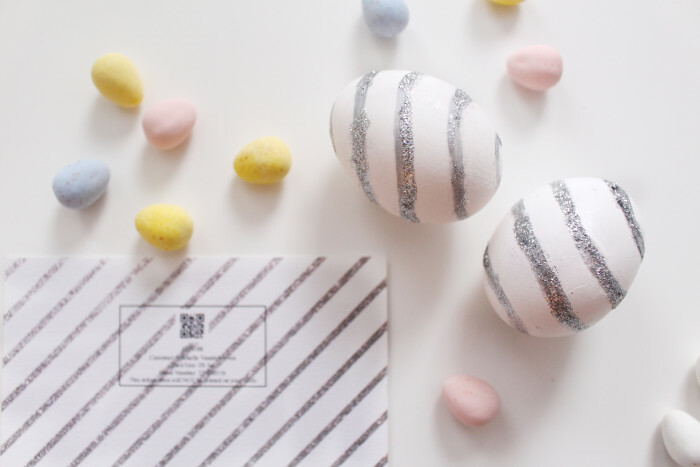 First one up, striped Easter Eggs to match their Spring Delight invites, check it out on Tiny Prints Blog!